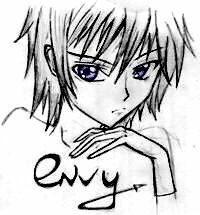 Envy-san, real name is out of use. Advent child with impudence in her eyes and Hueco Mundo in her heart. Surrounded with gentle lies and hollow feelings.